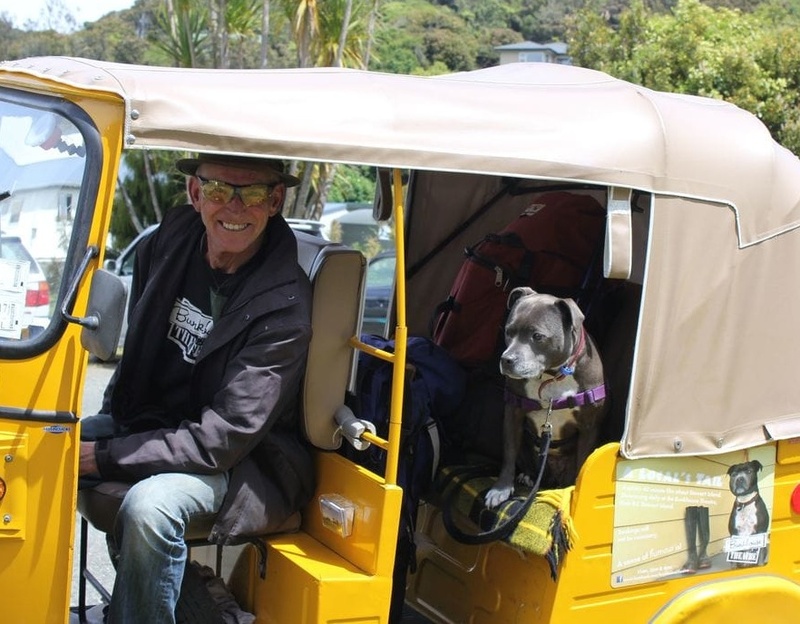 ​​Where else would you expect to see a Tuk Tuk, but on Stewart Island where a dog called Lola, is the local celebrity! Aussie Pete, one of the film makers of "A Local's Tail", provides another unique Island experience - scenic Tuk Tuk rides. ​​The Bunkhouse Theatre's Tuk Tuk operates 8.30am to 5pm (November to April). Take a tuk tuk ride to Lee Bay. What a fantastic start to your Great Walk adventure! ($25 for two people one-way). Enjoy a bespoke tuk tuk tour of the Island (e.g. $40 for 40 minutes / $80 for 1.5 hours for two people). Save your legs for the tracks (e.g. $10 to Golden Bay Wharf, for two people). Get a lift up a hill or just go for a joy ride (from $10). Contact the Bunkhouse Theatre for more details.